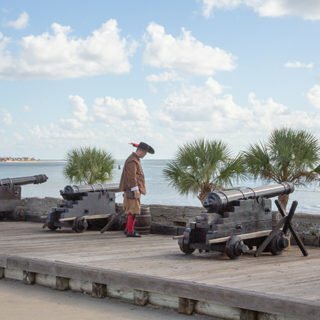 You may never have heard of Gulfport, Florida or if you had heard of it, you may have no idea where it is. And to some degree, that’s the way the local’s like it. 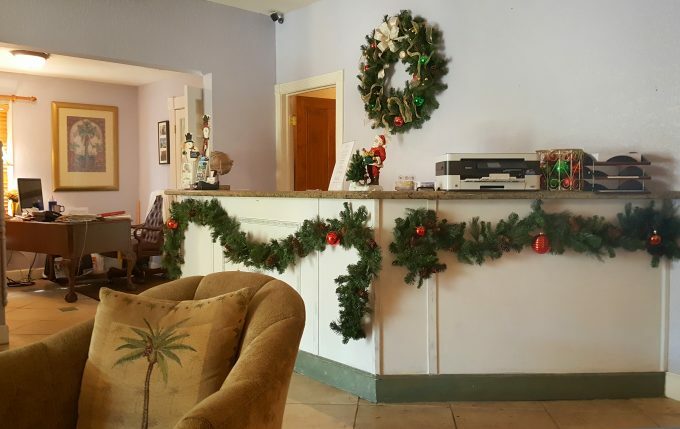 Thanks to my friends at Superior Small Lodging for connecting me with the Historic Peninsula Inn and arranging my stay. Although this is a review, all of the opinions are 100% honest and completely my own. 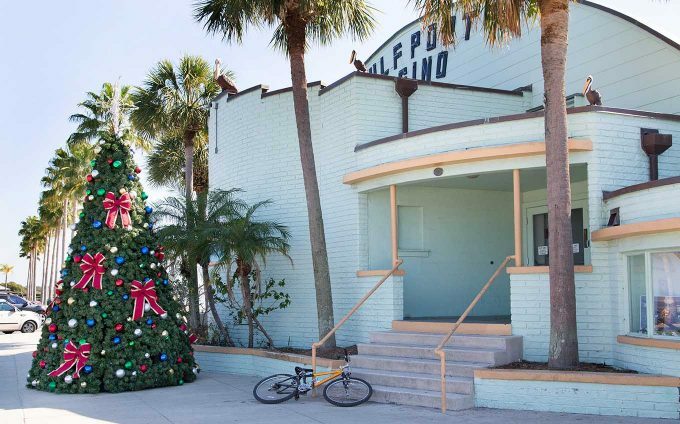 Gulfport is a sleepy little town around the bend of the bay, just a few miles away from St. Petersburg and St. Pete’s Beach. 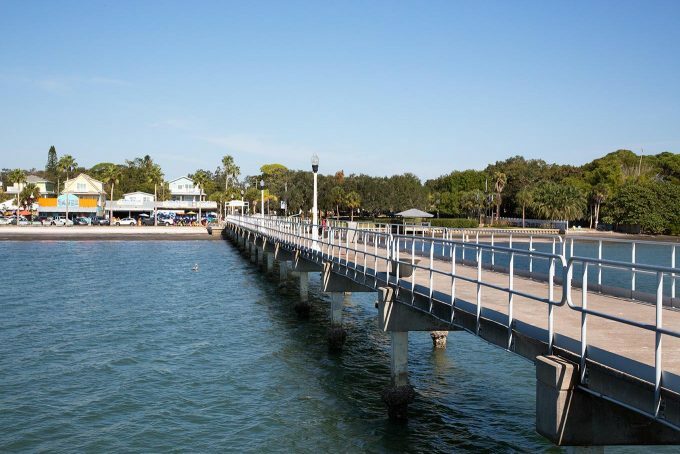 That means you have the #3 ranked beach in the country just a few miles away, as well as Downtown St. Pete and the Dali Museum. 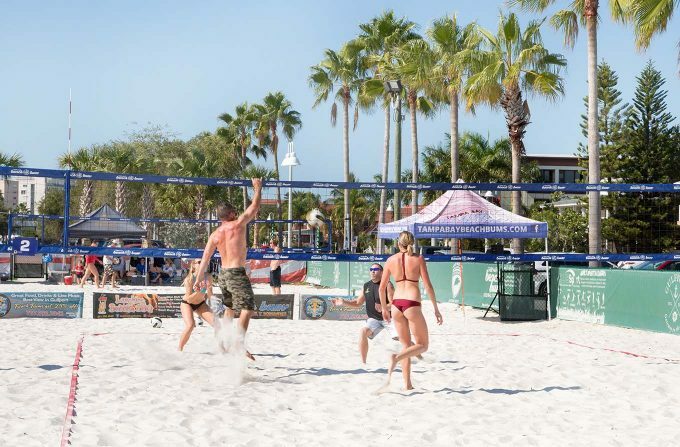 Gulfport is the perfect location to get away from it all and still have it all. Downtown is a few blocks long and has a variety of fun little shops, restaurants and a welcome center. It’s even got its own beach, in case you don’t feel like leaving town. The weekend we were there, a major volleyball tournament took over a portion of the sand and it was fun to watch them play. 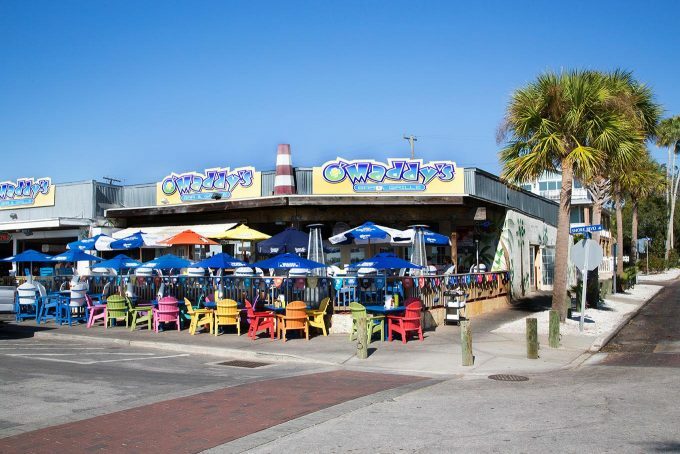 If you get hungry while you’re relaxing on the beach, just walk across the street to one of the many restaurants overlooking the bay. I had lunch at O’Maddys and had to try “Dr. Randy Shuck’s Hangover Burger”. 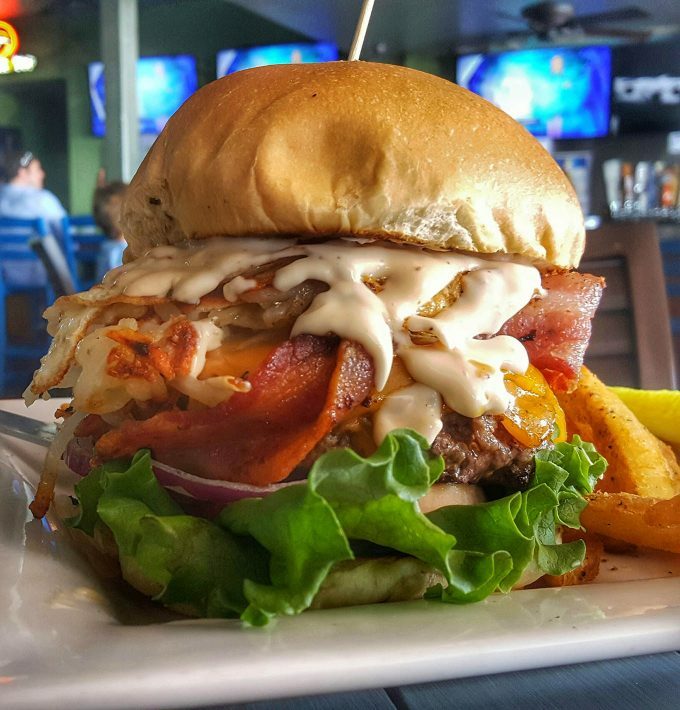 This flame grilled burger is topped with a fried egg, applewood smoked bacon, double cheddar, hash browns, crisp lettuce, tomato, and onion on a brioche bun. It was AWESOME! I enjoyed watching the pelicans from the Gulfport pier after lunch. 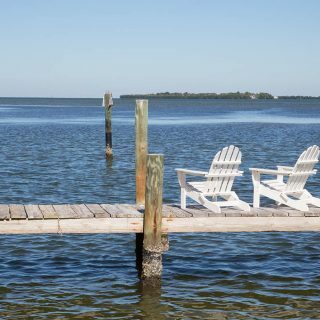 You’ll find fisherman enjoying the pier and there are plenty of spots to sit and simply enjoy the day. 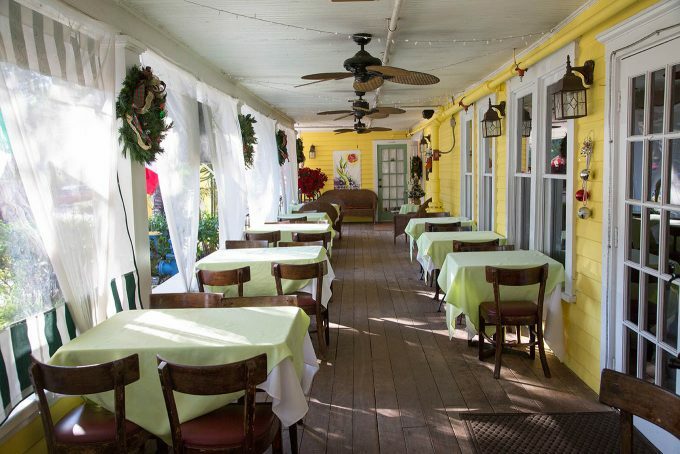 But the star of Gulfport is definitely the Historic Peninsula Inn and Isabelle’s Restaurant. I had my meals on the beautiful front porch of the Inn. And since we’re on the subject of food, let’s talk a bit about Isabelle’s Southern Cuisine. I was completely blown away by the deliciousness on the menu, I tried as many of their dishes as I could but will need to schedule a return visit just to eat my way through more of their menu. 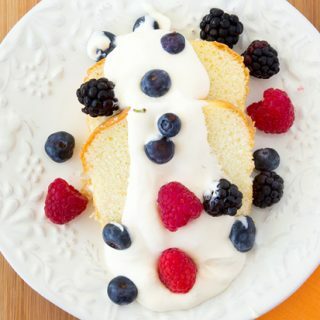 The images don’t d0 the dishes justice. 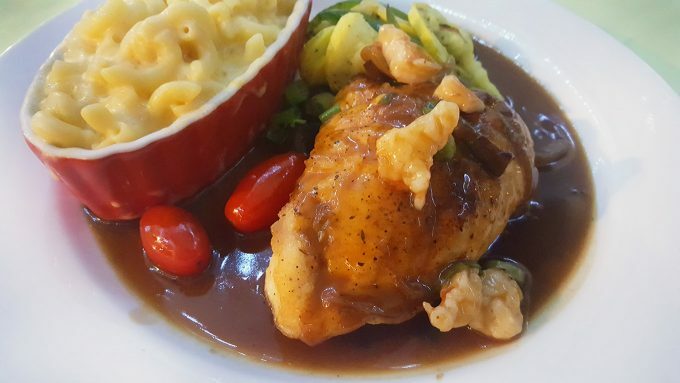 This was local Black Grouper served Etouffee style with their legendary mac and cheese. Isabelle’s unique take on Shrimp and Grits was another of my favorites! 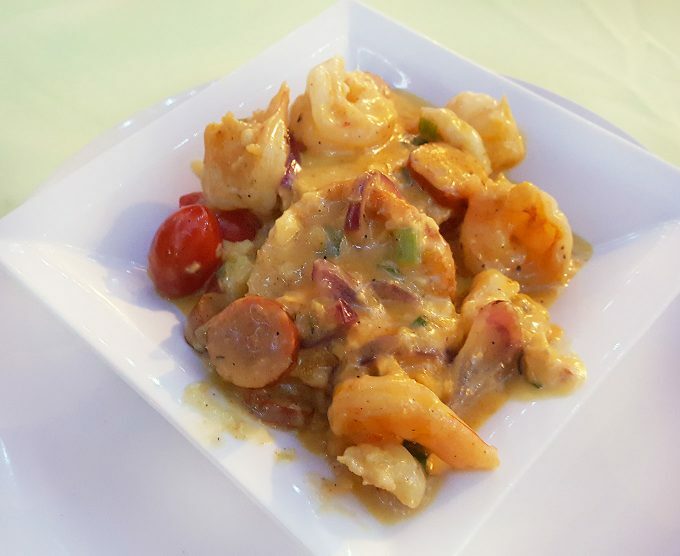 Shrimp, sausage, tomatoes, shallots and garlic sautéed in a light sherry cream sauce, served over smoked gouda grit cakes. Every item on the menu that I sampled was ah-mazing and I had a chance to speak with their very talented Chef. 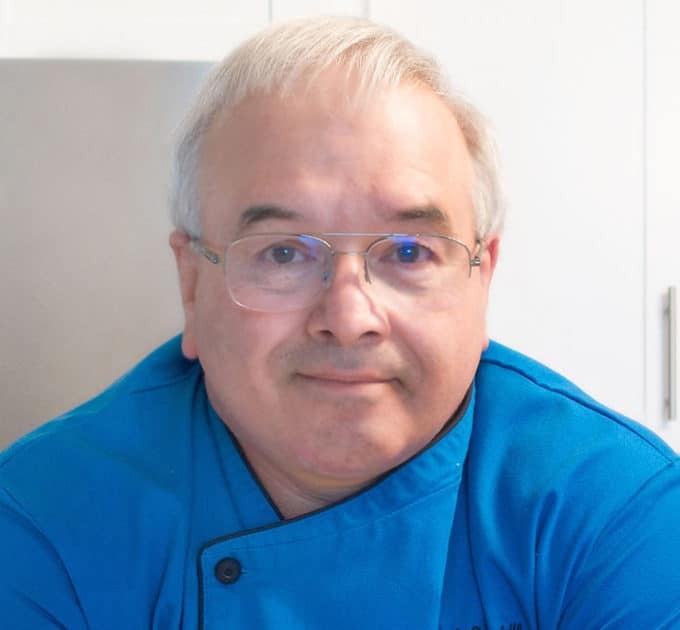 After a few minutes talking shop with Chef Phil it was easy to see why the food was good, he loves what he does and the patrons of the restaurant benefit from his passion. 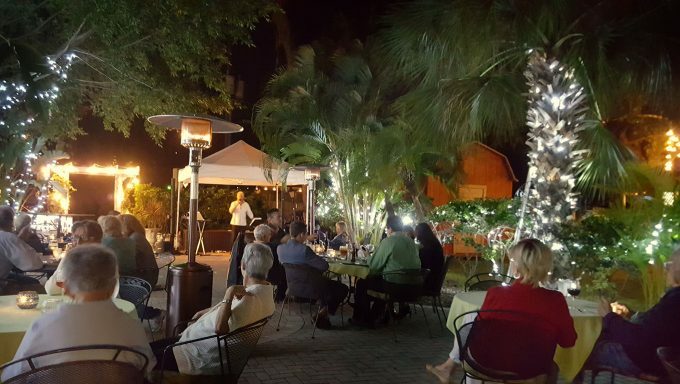 After dinner, we were treated to a live show by a Sinatra style singer on the outside patio adjacent to the Inn. 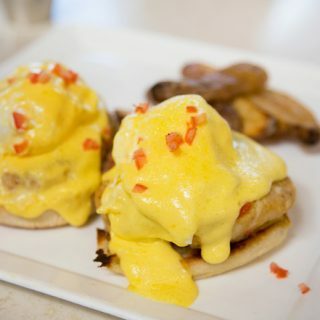 You can also have dinner on the patio (weather permitting). 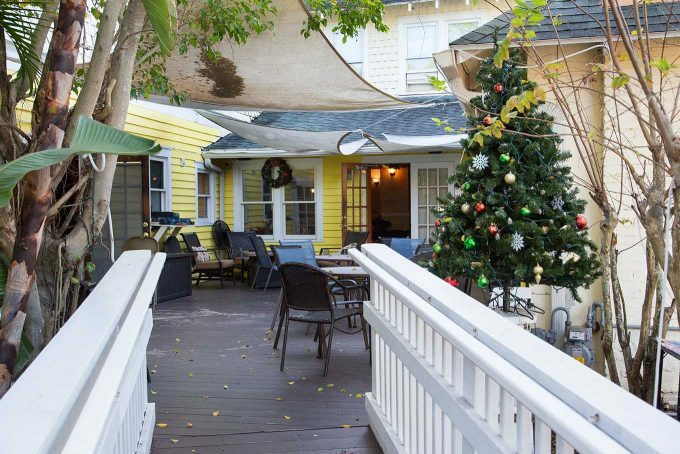 They’re also a fire pit on the back deck, where the locals mingle along with the Inn’s guests. There’s a great family atmosphere in this small town and they’re welcoming to visitors. 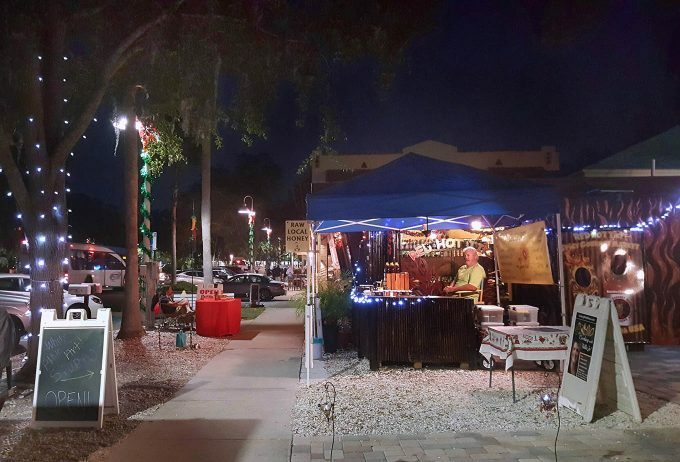 On the first Friday and third Saturday of the month the Gulfport’s Merchant’s Association sponsor an Art Walk from 6-10 pm (year round). 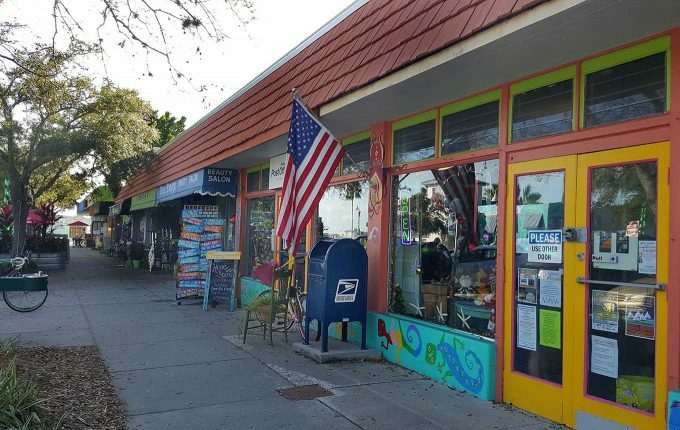 You can observe and purchase from talented independent artists, as well as the works of local authors and entertainers stretched over a half-mile up and down scenic Beach Boulevard. 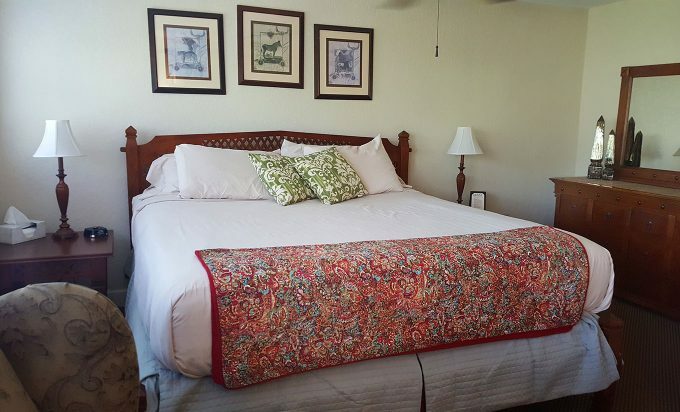 The Historic Peninsula Inn features 12 rooms, which include six larger suites. Each of their rooms has it’s own special flair, making them distinctive in both their names and features. 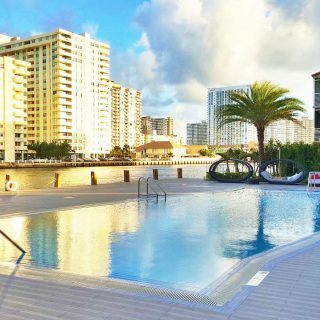 Of course, you won’t want to spend much time in your rooms since there is so much to do in the area (this includes sitting on the porch relaxing). The hotel staff is professional and very friendly and is there to make sure you enjoy your stay. 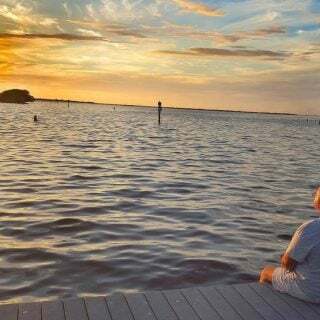 It’s the flavor of old Florida, minutes from everything and anything you could want, the perfect location for your next adventure. For more information visit their website Historic Peninsula Inn. You can also follow them on Facebook.